Magicians traditionally wear a black top hat. From this hat, the magician makes things appear or disappear. 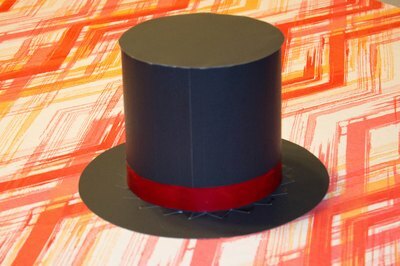 There are many ways you can make your own inexpensive magician’s hat. 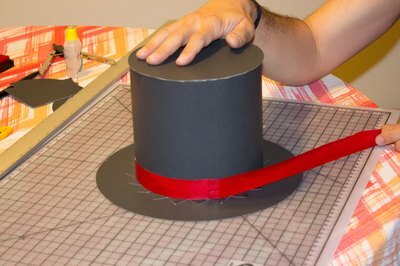 One simple and practical way to make a magician’s hat is from paper. The thickness of the paper depends on how durable you want the hat to be. Usually, poster board is durable enough for at least a one-time use. Cut out two strips of plain white paper 1 inch wide by 11 inches long. Paint the strips red and let them dry. Glue the strips together to make one long strip. Draw two 7-inch by 12-inch rectangles on the black poster board. 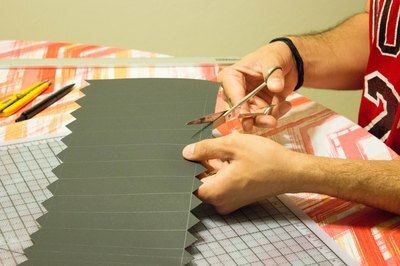 Cut out the rectangles and glue them together along the 7-inch sides to make one long rectangle. The rectangle should now be 7 inches by about 24 inches. 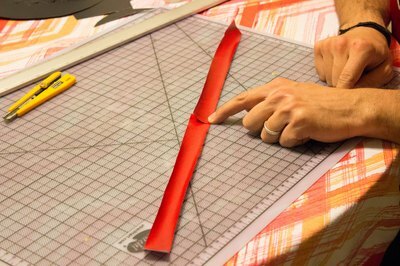 Cut 1/2-inch-deep triangles along the top and bottom of the 24-inch edges. Fold the triangles along the top edge of the rectangle inside. Measure the head circumference of the person who will be wearing the magician's hat. Use the compass to draw a perfect circle the size of the head measurement you took on the black poster board. 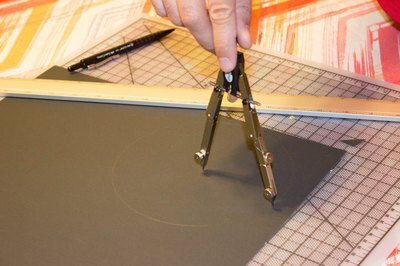 You could also use a plate as a guide to help you draw the circle. Cut out the circle. Form the long rectangle into a cylinder the same circumference as the circle in Step 4. Secure the cylinder with tape and trim the excess off the cylinder, if necessary. 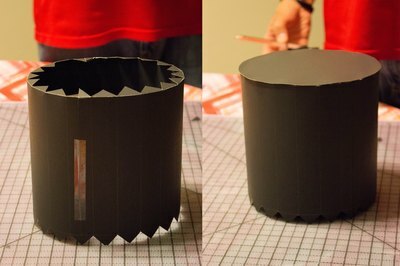 Tape the cut-out circle onto the top of the cylinder, placing it on top of the folded-down triangles. The triangles should be inside the circle so they are not seen on the top of the hat. Both the circle and the cylinder edges should be evenly aligned. Trace the cylinder onto black poster board, then draw another circle 2 1/2 inches larger than the cylinder using the compass. 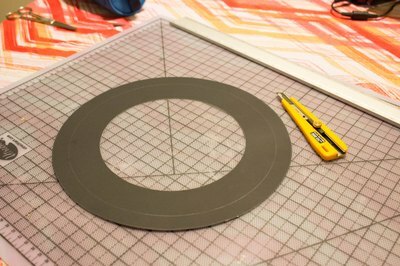 Cut out the larger circle, which will make the brim of the hat, and then cut out the center circle. Fold the triangles on the bottom of the cylinder out. Slide the brim of the hat over the cylinder. Tape the triangles to the underside of the brim. Apply glue to the back side of the red strip and attach it to the bottom of the crown of the hat so it sits just above the brim.